When you stare into the flames…are you hypnotized? Do you desire…to reach out and commune with it? Does it draw you near…or are you apprehensive at the knife’s edge of intimacy and pain that comes with being close to the flame? 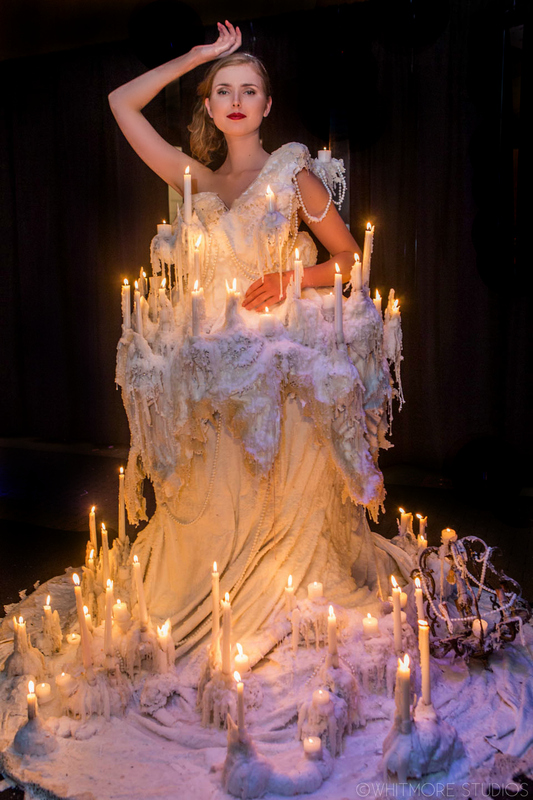 The Living Candelabras are an individual and collective experience, draped in wax, lace and pearls. This classy new art form has gained publicity for its place in events and parties by Allison Sarofim, Nas, BABEL, The Box, Vox Notem and the famous Chashama Gala, which takes place in the heart of Times Square each year. 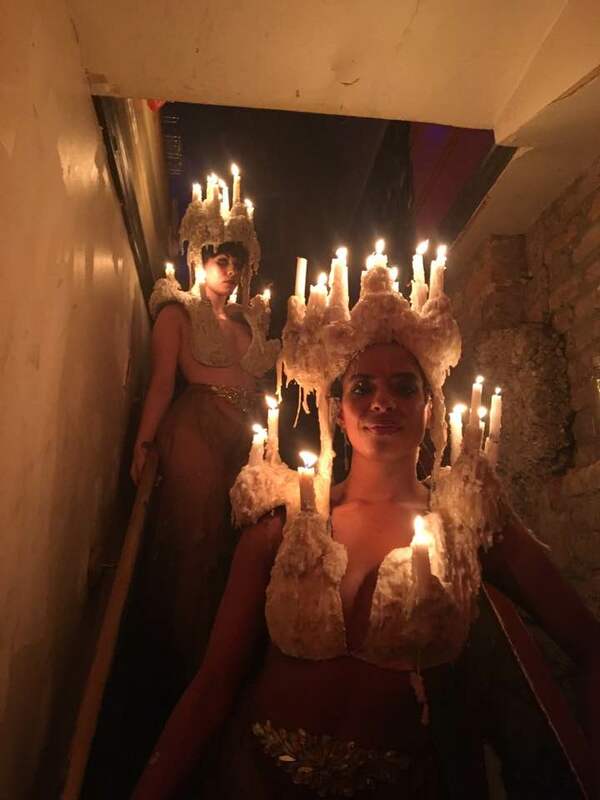 The Living Candelabra is not just artwork in motion - Flambeaux is always creating new structures and themes for unique parties and installations. Inquire below about how the Living Candelabras can provide the perfect ambiance for your event. Thank you! We will be in touch shortly to respond to your inquiry. All Flambeaux Candle Art Protected by Copyright © Flambeaux Fire LLC.